The Bearded Vulture is an integral component of the environment, performing an essential ecological role as a scavenger. They are an economical way of disposing of carcasses and in doing so they limit the spread of disease. The Bearded Vulture is a spectacular sight in its own right, the Bearded Vulture also has spiritual & cultural values to many cultures over the centuries (Project Vulture; 2015). In light of the striking beauty of the Bearded vulture as well as its significance to the ecosystem, Maliba welcomes guests to the Main Lodge with a statue of the breath-taking Bearded Vulture. It also appears as the mascot for Malibas’ Children’s Bana Club. 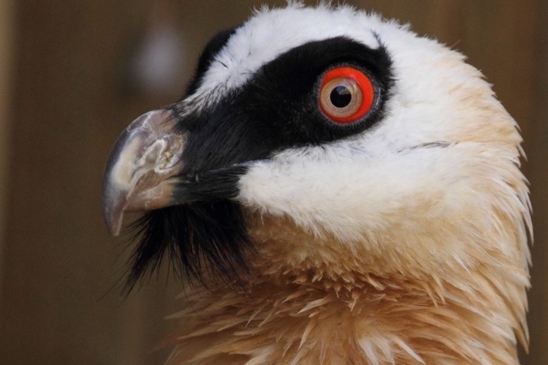 The black strip over the eyes and the bristles at the base of the beak form the distinctive appearance of a beard, providing the origin of the name ‘Bearded Vulture’. Bearded Vultures are big birds weighing approximately 6kg, with wingspans extending 2.6m. Born dark & changing colour gradually, adults are black in colour with pale heads & bellies. 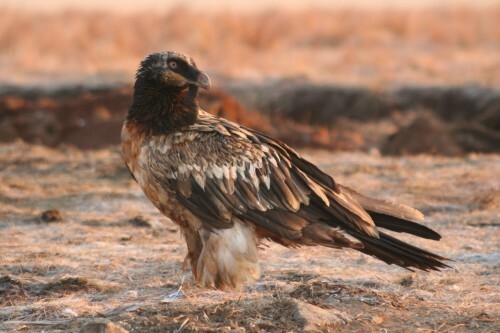 Bearded vultures vary in colour, from pure white to orange-red. This rusty orange brown colour is the result of iron oxide from soils stains. The vultures apply dirt with their claws followed by intense preening which produces the orange glow (Mental_floss; 2015) . 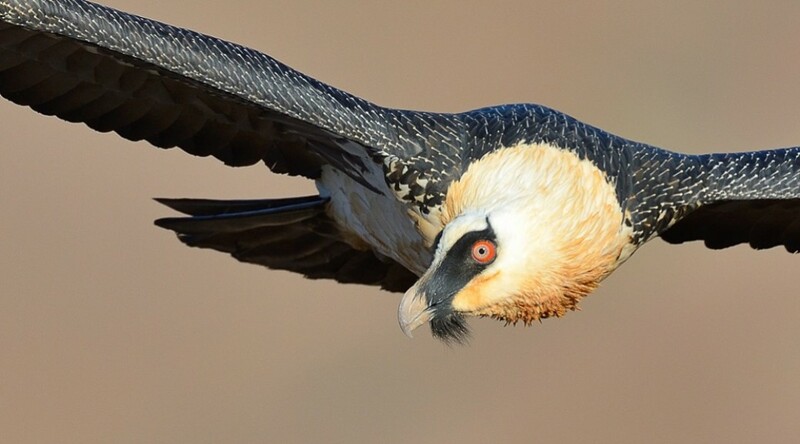 Bearded vulture live exclusively in cool mountainous terrain, between 500 and 4,000 meters. Their broad, stiff overlapping contour feathers prevent the icy wind from penetrating the soft, insulating down underneath. Like all vultures they have a carrion diet, but Bearded Vultures live mostly on a remarkable diet of bones & bone-marrow. Smaller bones are eaten directly but bones that are too large to swallow need to be broken. They carry the bones high in the air & then drop them very accurately from a height of about 60 metres onto open rock surfaces(African Raptor, 2015; Mental_floss, 2015). Bearded Vultures are most commonly monogamous & breed once a year, both parents raising a single chick. Large untidy stick nests are built in large eroded caves on the sides of cliff-faces (African Raptor, 2015; Mental_floss, 2015). 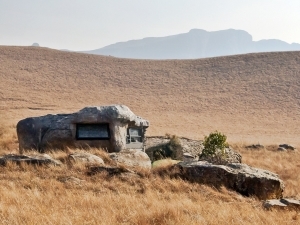 The only remaining natural population in the world resides in our isolated & rugged Maluti-Drakensberg highlands. 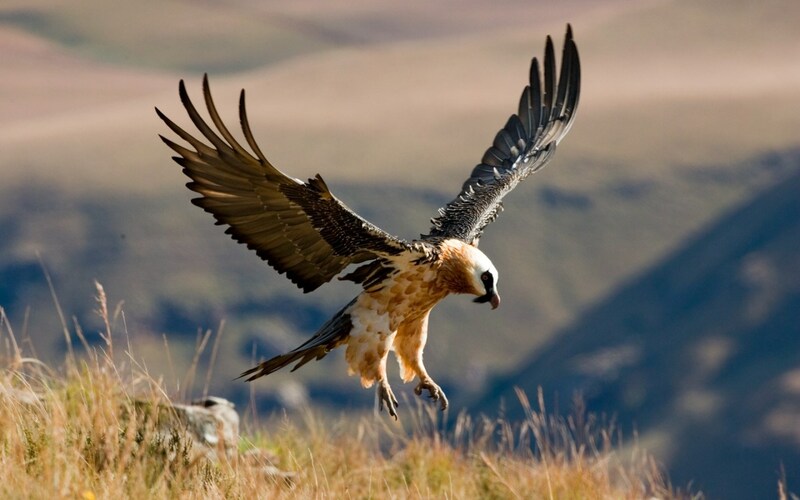 The Bearded Vulture has been classified as ‘critically endangered’ in southern Africa, with only 350 individual birds & 109 breeding pairs remaining in the Southern Hemisphere. In the early 1960’s scientists thought that the Bearded vulture might be extinct so undertook many unsuccessful expeditions to find them. Eventually, a Basotho elder led them to a nest site near Mokhotlong where they took their first nest photos (African Raptor, 2015; Mental_floss, 2015). 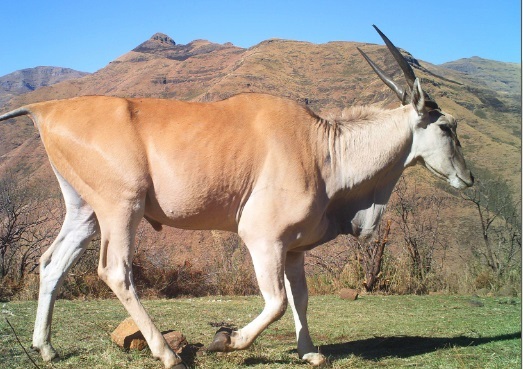 Although they have no natural predators, their populations are threatened by less food available due to better rural farming practices & thus less stock mortalities. 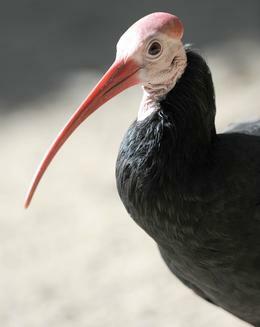 Their feathers, skins & body parts are used for ceremonial & traditional medicine purposes. They also fall foul to traps & poisoned baits set out by farmers trying to eradicate stock killers, like jackal & feral dogs & are also vulnerable to electrocution on power-lines. In captivity Bearded Vultures can live to 45 years of age however due to environmental threats, the average lifespan of a wild vulture is only 21.4 years (African Raptor, 2015; Mental_floss, 2015). 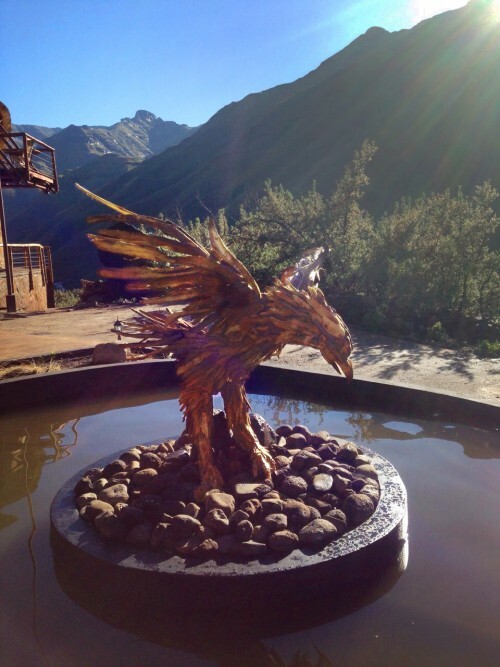 Owing to the threats facing the bearded vulture in Southern Africa, Maliba lodge has designated a site to be used as a ‘Vulture restaurant’. This restaurant is aimed to supplement the natural food supply in an undisturbed area, providing meat and bones from a safe source. We also hope that this practice will be able to assist conservation efforts, providing further monitoring of local vultures and providing an educational observational & photographic platform.